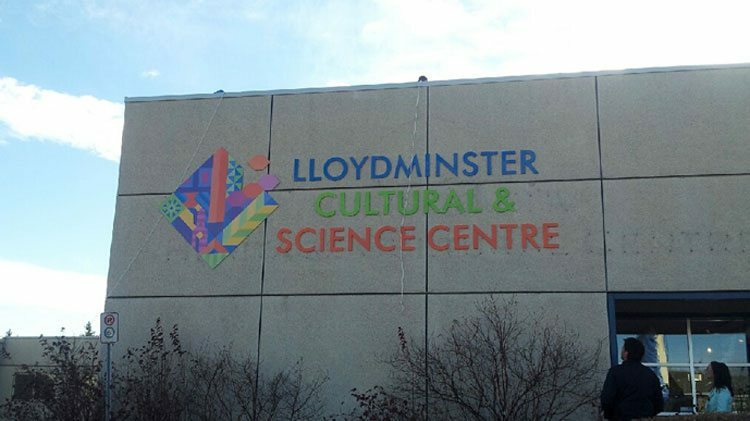 Lloydminster Cultural and Science Centre. (Photo: Ezzah Bashir/106.1 The Goat). An art show is happening in the Border City to showcase young talent in the city. In conjunction with National Youth Arts Week, the Lloydminster Cultural & Science Centre is looking to show off young artist skills. Artwork by youth aged 3-18 will be accepted and displayed at the LCSS. Submissions are accepted from April 20 until May 2. The annual exhibit began in 2015 to help expose some of Lloydminster’s young artists. Holly Durewa is the collections coordination for the LCSS and says they’ll be ready to display most kinds of visual art. “Any form of 2D or 3D art. So drawings, sculptures, paintings, mixed media, photography, comics, whatever! So long as it’s dry and ready to be put on the wall or set up in public. So you’ll need hanging material on the back of it, wires or hooks or something,” says Durewa. She invites parents, schools and teachers to suggest young artists towards the exhibit. Youth can submit one artwork per person, and when they drop it off, will receive two complimentary tickets to the closing reception on Thursday, May 23. Refreshments will be served at the exhibit’s closing reception and the museum will be fully open with other young artists present. The exhibit will be held from May 4 until May 25. More information can be found by contacting the LCSS via phone or through its Facebook page.